Here is how it works: The process is termed the Mcgyan® process after the names of the inventors (McNeff, Gyberg and Yan). The process performs a catalytic conversion of triglycerides and free fatty acids into fatty acid methyl esters (FAMES); in other words into biodiesel. 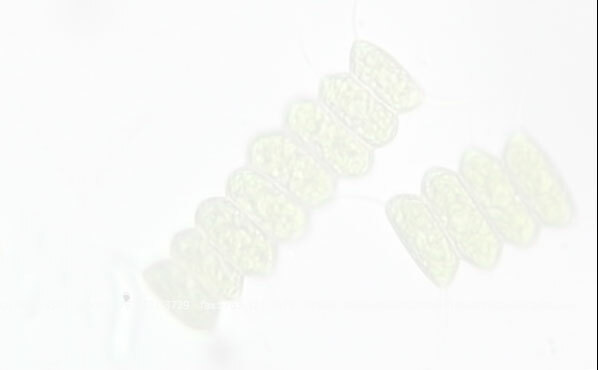 In addition to the environmental advantages of producing a biofuel that replaces conventional fossil fuels (fossil fuels have detrimental effects on the environment since they release sequestered carbon compounds and other pollutants into the atmosphere, whereas bio-based fuels such as biodiesel are more environmentally friendly since their use recycles carbon through renewable biomass and because they burn cleaner than petroleum fuels), this new process offers several advantages over current biodiesel production methods. A general operational schematic of the Mcgyan® reactor is depicted above. Oil or tallow feedstocks and alcohol are converted into biodiesel. Once through the reactor, the excess alcohol is separated out and recycled back into the continuous process. 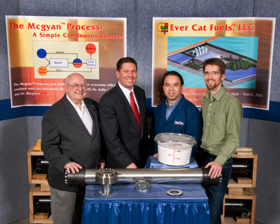 Ever Cat Fuels, LLC is operating a 3 million gallon per year demonstration plant incorporating the Mcgyan® biodiesel production process.